Here it is .. The broadcast I threatened to share with you last week (hehe) that was unplanned and became my busiest broadcast ever. 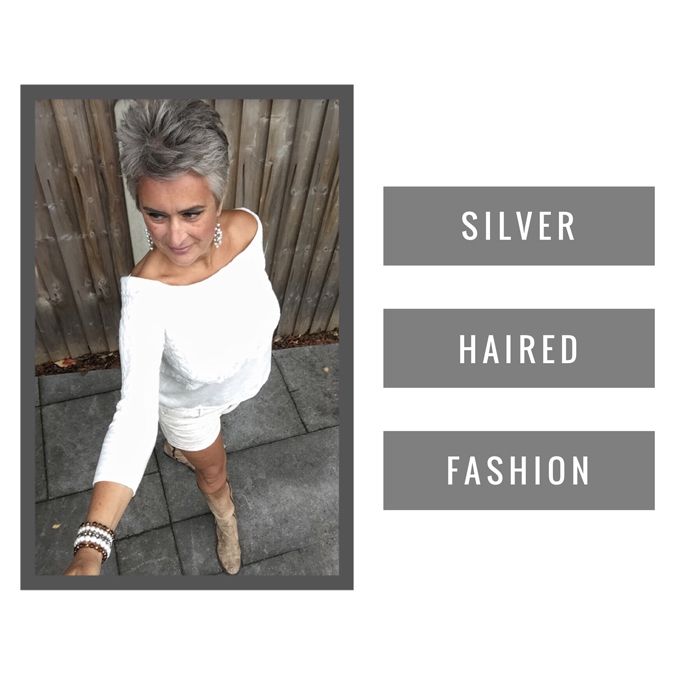 As you will know if you follow this blog and have read the story about my transition to silver hair, I’ve made many friends in the worldwide silver haired online communities (love my silver chicks!) and this is the show that garnered over 5k views and brought in around 400 friend requests on Facebook within a couple of weeks. I have to say I was taken aback (!) .. especially when I received many requests for more of the same. With no formal training in fashion and being someone who doesn’t spend a fortune on clothing but has found my own way of styling outfits to suit my needs, I’m probably an odd choice for giving advice, so be assured that I’m only sharing my personal take on how to transition into the world of silver hair from my humble perspective and style yourself according to what suits your own lifestyle. Shows subsequent to this one are a lot shorter, but since this has been well received and is the one that kicked everything off, I thought it should be the show that I share here with you.